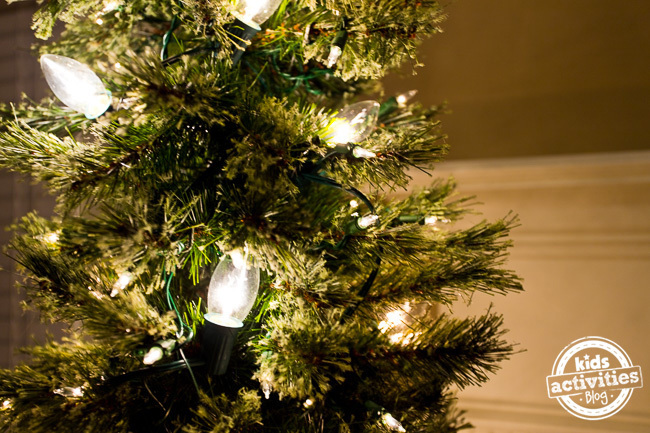 Have you ever brought out the holiday decorations and wished your Christmas tree was fuller? 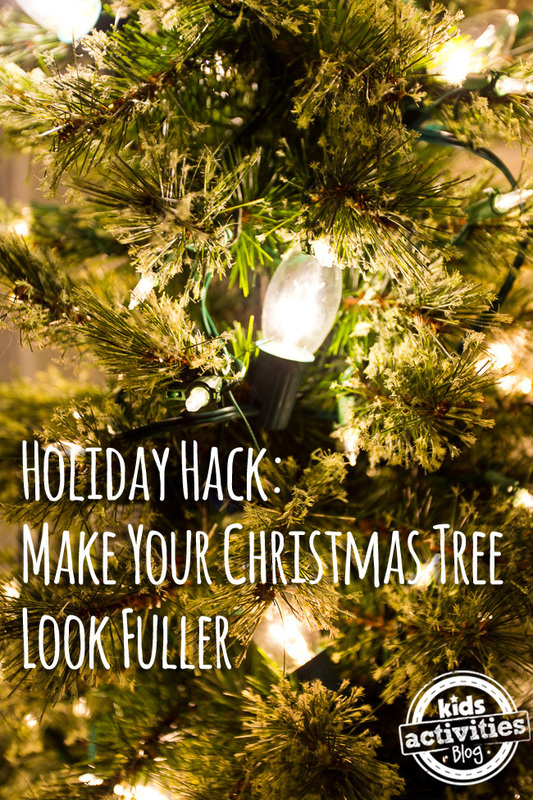 We’ve got a holiday hack that is SO easy you won’t believe it. 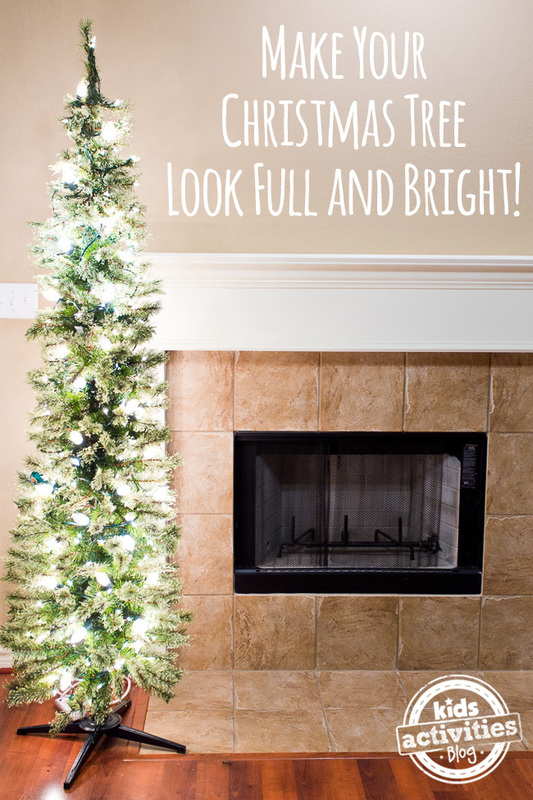 Here’s a simple tip on how to make your Christmas tree look fuller! 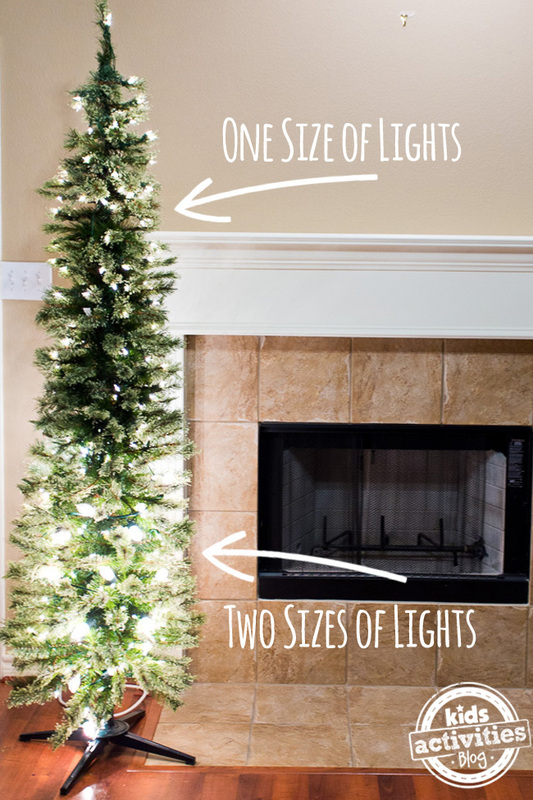 The trick is really simple — all you have to do is string two sizes of lights on your tree. We have a pre-lit tree, so I just added a couple of strands of these large bulbs around the tree and the difference is astounding! The second set of lights adds dimension to the tree, making it beautiful and bright. 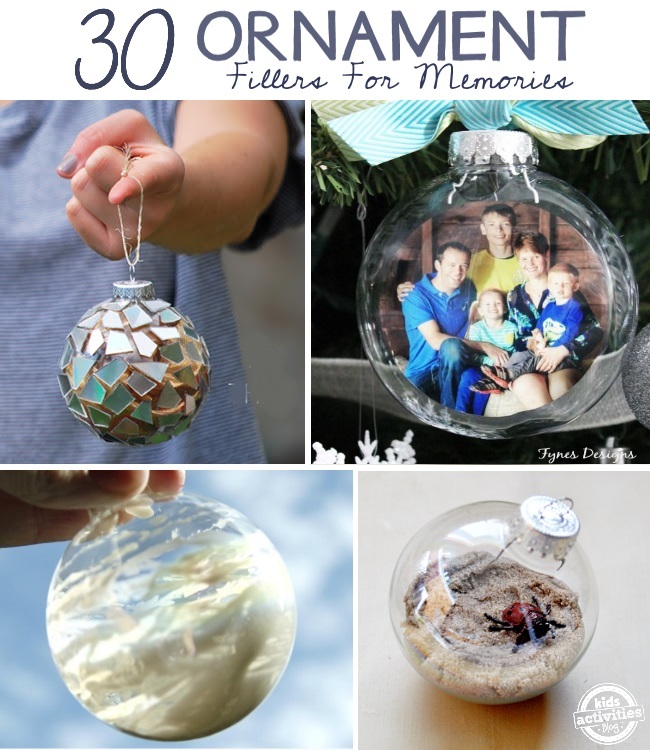 Now it’s ready to add all of your homemade ornaments! We added no-mess glitter ornaments to ours — they sparkle and shine in the lights! So beautiful! 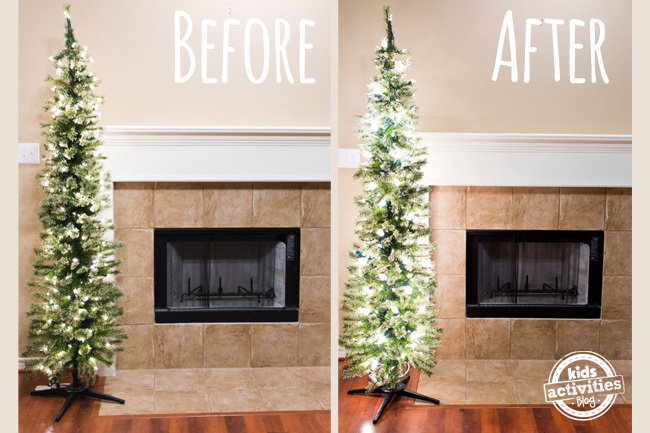 Want some more Christmas inspired decorating ideas? Previous Post: « Tips for the Best Family Ski Trip (With Kids) Ever!